Today, I am beyond thrilled to be guest posting over a Shelli's amazing blog, a' la mode! I'm talking about how to style animal print three ways...check it out here. I LOVE her living room...so chic and yet cozy...how does she pull that balance off? Her master bedroom is soothing and inviting. 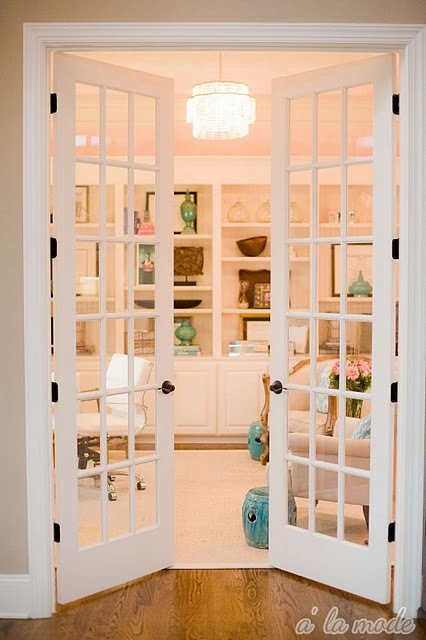 I just DIE over this room...the pops of turquoise are perfection. One of the cutest baby rooms I've ever seen! For a complete home tour, go here! I hope you all had a great weekend...I got to spend time with the girls at the beach, go to a fabulous wine event and meet my bestie for lunch in Sacramento. It was quite a fun-filled weekend! :) Hope you had a fun one too! her home is beautifully decorated, heading over now! I love that striped couch! Its beautiful! This house is beautiful! Also, great guest post!!! Love the beach look! I absolutely adore Shelli! And her home is so completely fabulous...I have to admit I might be a little jealous (c: Maybe that is why she is showing it off on my bloggy tomorrow...I'm living vicariously (c: Happy Monday, girl! Heading over to check it out! Wow, her home is incredible. That home is breathtaking! I'm very impressed! Wow, I really love that office! I'm obsessed with the nursery! Off to check out her cute blog and your post! Loved your guest post!! What a great way to incorporate animal prints!! Especially paired with orange! 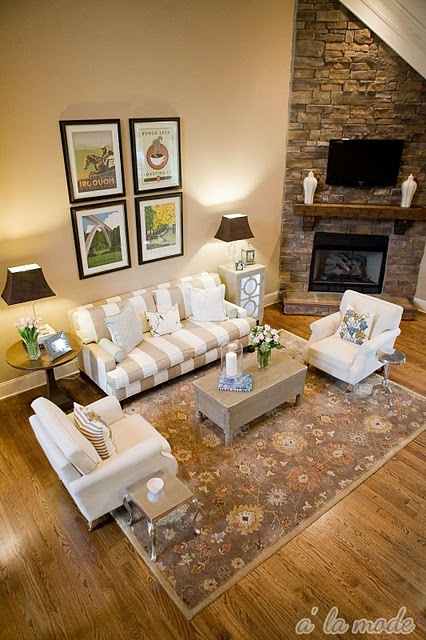 Loving these images of Shelli's home, too!! That is one gorgeous office!! What?? I am in love! 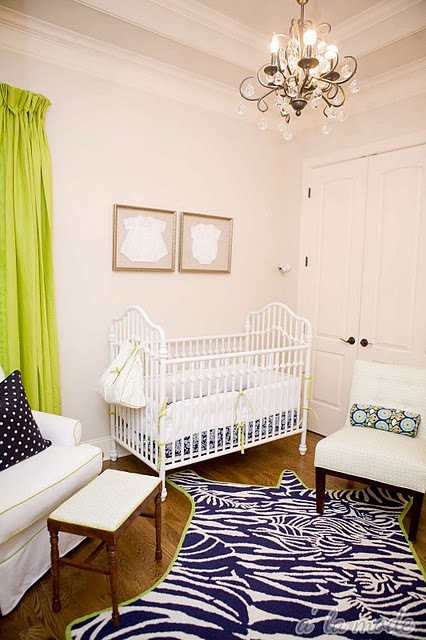 That nursery is adorable! oh my gosh- I would move in tomorrow! Than you for sharing... so inspiring! Love the decor. Those green drapes are eye-popping in a great way. 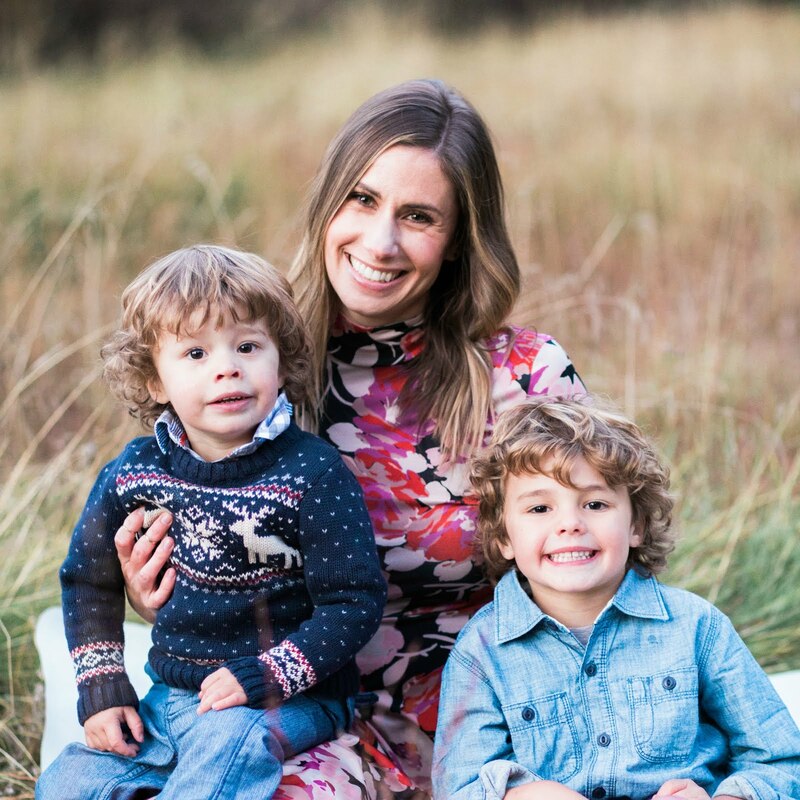 Great guest post - you did so well putting everything together! Sounds like you had a great weekend. Happy Monday! Omg, what a beautiful home. I love her use of color. I love her blog/house!! How fun!! If I ever have kids I want that nursery! Yay for guest posting! Oh wow! I'm in love. The office and baby room is fabulous. Hi! I've checked it out, loved it! Shelli's house is amazing!! I would love a living room like hers! her home is amazing!! off to check out her blog now! No kidding! I am heading there now!